“Women are ruthless.” A statement made by my husband after we overheard a conversation between two women talking about another woman and her diagnosis of PCOS. “Women are ruthless.” AGAIN, a statement made by husband after overhearing yet another negative conversation between females on the topic of another female. “Women ARE ruthless.” A statement that ran through my mind as I eavesdropped on three women at the park as they bashed a female acquaintance. What made the whole situation worse was that each woman had a little girl in tow, so as all three women ranted on about this other woman all three little girls peered up at their mommies, eyes and ears open wide. What if we stopped focusing on the negatives of a woman we knew and focused on her positive characteristics and attributes? What if we stopped to better them rather than bash them? In my younger years, even as a brand-new mommy, I was guilty of judging other women. I am owning the fact that I too was a “woman basher”. Now having a child who is now old enough to develop his own friendships and socialize with others also has me “looking in the mirror” when it comes to my friend behavior. As I have grown older with the roads of life rocky rather than smooth, those that judge are those I should keep my distance from. I’ve lived and learned that if someone, female or male, is raining on my parade then it’s better to walk away instead of staying under the cloud. Looking back to when I have stayed under the cloud it allowed my words and actions to become dark, gave me a reason to bash. In reality, bashing never made me feel better it just made me feel worse. It made me feel guilty for the things I said, paranoid that others were bashing me and worst of all it made me blind to the positive characteristics of these same individuals. Now I know that it’s not worth my own character to give into the darkness of gossip. I’m trying my best to not judge and rather apply another thought process. Rather than becoming annoyed at the attributes and ideas I may not understand or agree with in others, I try to understand their habits or views rather than deeming them wrong and bashing away. With moving cross-country I’ve been given the opportunity to really embrace the type of friend I want to be along with the type of first impression I want to give. Thinking back over the last 5 years I am more interested in being more like the women that have really impacted my life in small but big ways. Women I respect and admire because of the way they carried themselves but also because of their warm hearts. This is where that focusing on the positives piece comes into play. Not only will I do more to be more positive but I’ve also chosen a group of women that I am going to contact each individually. I’m talking about women that are outside of my everyday friends, women that probably have no clue what they have done for me or how I admire them. I’m going to let them know how much their warm hearts and the positive women they are impacted me. I hope you will do the same. Let’s celebrate the positives in women rather than spending our breath bashing their negatives. Let’s teach our daughters(and sons) that everyone has wonderful qualities that should be celebrated and maybe by treasuring those qualities the not so great ones will disappear before our eyes opening the door to more and deeper friendships. Women bashing isn’t done just by the beer belly, wife beater wearing ogres we see on COPS, the worst bashers are the ones who use words rather than fists. Five Years, Five Life Changing Realizations. 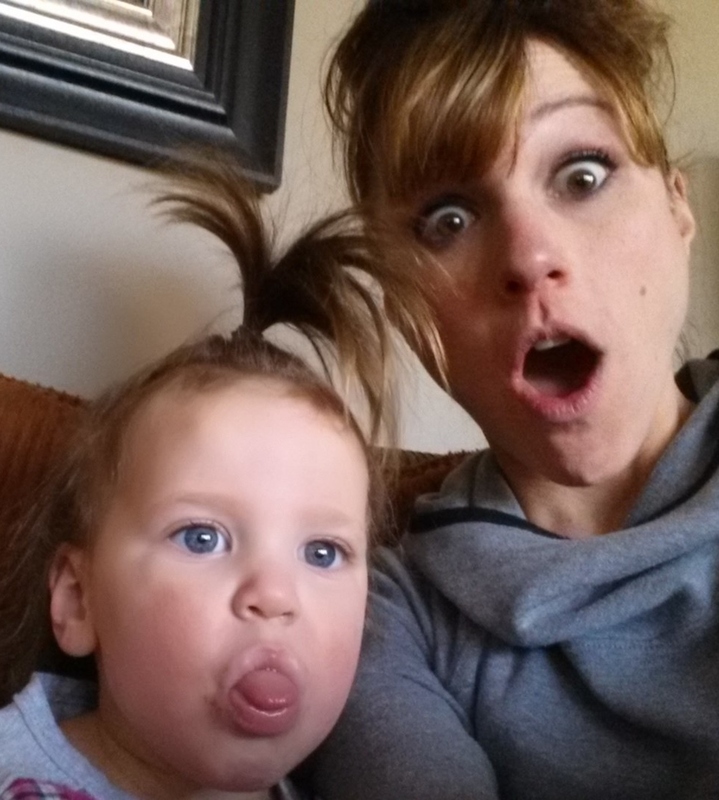 How being a Mommy has prepared me to be a “Survivor” contestant. Totally agree with your last statement. Words can be very powerful in negative and controlling ways. Love the pic. Cute!